The burger is dry. There. I said it. It is off my chest. Phew. *Shakes shoulders*. Let's get on with my experience now. Hard Rock Cafe, finally, opens shop in Chennai at the luxurious Phoenix Market City. A little different from Bangalore, the Rock Shop is on the ground floor and the restaurant is located in a single level at the second floor with an exclusive lift from the Rock Shop. The ambiance is very typical of any HRC, with fancy guitars adorning the walls, an exclusive performance stage and nice friendly waiters. Chennai has been missing a place like this for a long long time and personally, I love the set up. So what prevented me from giving HRC, Chennai 5 stars? This might have been the first time I would have rated any place as 5/5, but that did not happen. So on my first visit, we ordered just three dishes, a fajita, a legendary burger and a cheesecake. The fajita was excellent with a nice round of sides and is a make-your-own-fajita type dish. 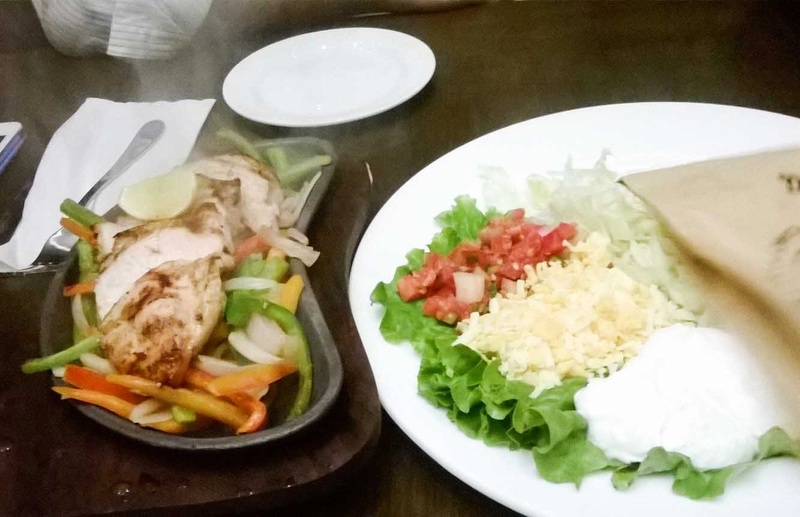 There was a good serving of cheese, veggies, sour cream and a sizzler with grilled chicken. I loved it. But the burger was a let down, only in terms of the juiciness. 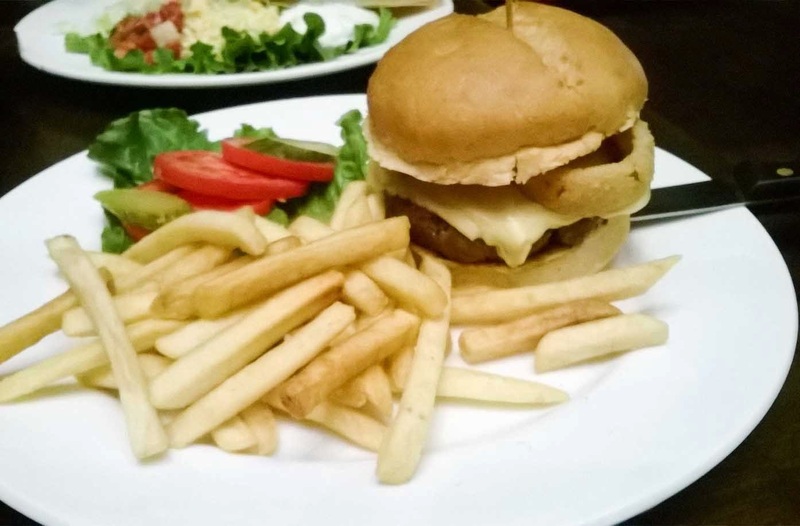 The flavour was great, the onion ring inside was excellent, but the burger was dry. Almost bone dry. I asked for it to be medium and I felt like I need to smother it with sauces. 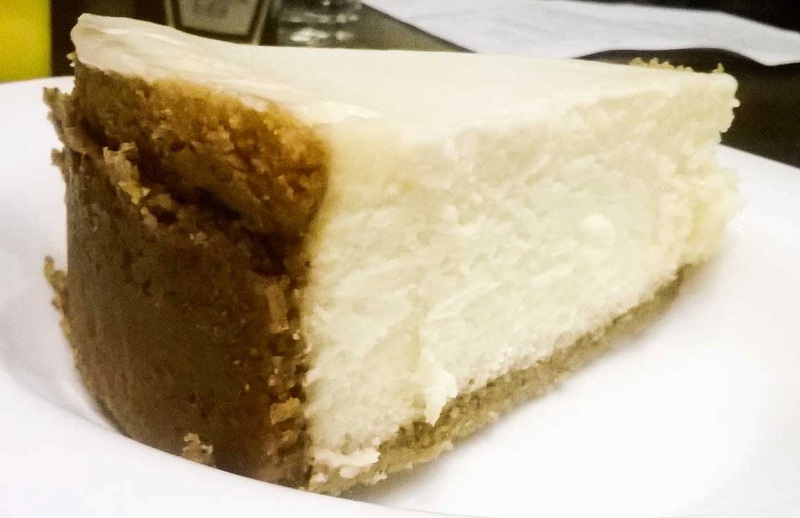 The cheese cake was excellent. The damages were Rs. 2200, of which Rs. 1600 was for the food and the remaining for the service and the government. My second visit was on a Thursday where there is a live band playing and the ambiance takes a whole new level. The sound quality was good, the crowd was good and if you go early you can get a seat or else, it is like a mini rock show and so the entry fee of Rs 400 of which you can redeem Rs. 250 inside is no big deal. Of course, I don't know how many were friends of the band, so it might vary everytime, but that night was excellent. I asked for the burger, hoping last time was a one-off thing and bang. It was dry. This time, even though I had specifically mentioned not to add bacon, bacon was added to the burger. Not good. But on a band night, I guess their service takes a beating. So, Hard Rock Cafe has arrived, without alcohol for now. Just missed the mark, but that said, I hope this sets the trend for more such restaurants to come to Chennai. 4/5, could have easily been 5/5 if the burger was juicy and they did not mess up the bacon, the second time. Though I hate to say it, the HRC in Bangalore is closer to the HRC's around the world.